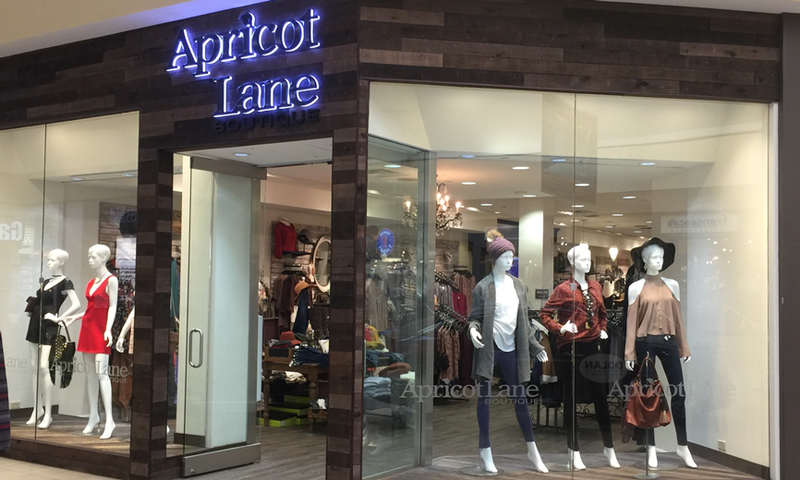 Conveniently located in the beautiful Meadowood Mall, in the sunny state of Nevada, the Apricot Lane Boutique in Reno is a locally-owned women’s clothing boutique that carries an ever-changing and unique inventory of trendy and affordable clothing and accessories. We pride ourselves in offering women of all ages a stress-free shopping experience unmatched by our competitors. Come check out our large selection of casual styles, accessories, and gifts for all occasions. And if you’re not sure what to look for, you can count on our knowledgeable and friendly staff to point you in the right direction. We are truly the only women’s clothing store you’ll ever need! We carry a curated collection of well-known brands along with up-and-coming names, including Cotton Candy, Lush, She and Sky, Vero Moda, and Promesa, among many more. All our lines are high-quality, stylish and affordable, and because we are always paying attention to the latest in designs and styles, you can be sure you’ll find some of the most exciting and on-trend pieces at Apricot Lane Boutique in Reno. We are proud to be part of the Apricot Lane Boutique franchise family — a company that has been helping women look their best for over 23 years and prides itself in giving back. As part of that philosophy, Apricot Lane’s 3 Strands non-profit initiative was created to unite and mobilize individuals and organizations to combat human trafficking. The organization has been historically supported through the sale of handmade bracelets created at employment centers in Cambodia, Nepal, and Haiti, and by community member pledges, events, and corporate sponsorships, with 100% of product sales profits going directly to support victims. Like every individually owned and operated Apricot Lane location, Apricot Lane in Reno is a truly unique women’s clothing store because our inventory is exclusively curated by us. We choose our lines with you in mind! Come see what we have to offer and learn how much fun it is to shop with us. We can’t wait to see you!